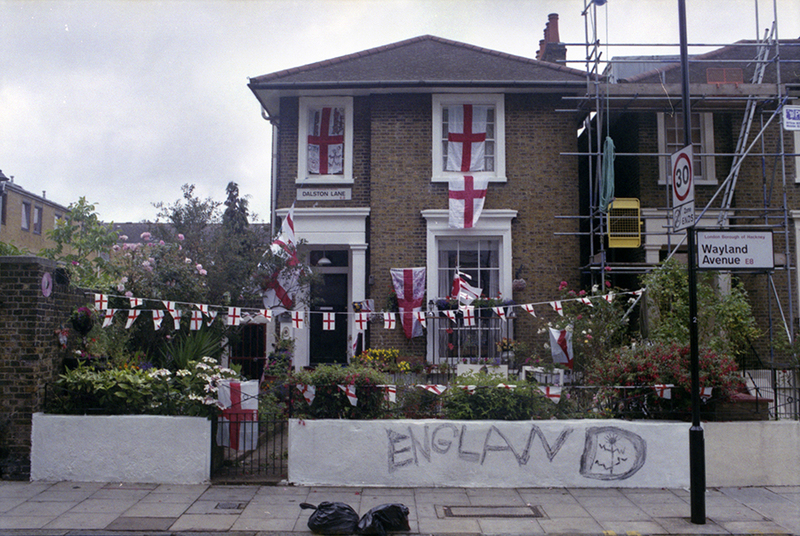 taken in that one week in july 2014 when England was still playing in the football World Cup in Brazil. I just hope it didn't take that guy longer to put all of his flags up and draw these beautiful letters than his team remained in the competition. But I doubt it.